Comprehensive behavioral health services are critical for ensuring the mental and emotional well-being of area residents. At Community Health Connections (CHC), we understand that mental health is just as important as physical health. That’s why our team of therapists and psychiatric care providers is committed to providing the region with compassionate, coordinated behavioral health services care. One in four Americans experiences some behavioral health issue, including mental illnesses such as depression, anxiety, and personality disorders, as well addictive behaviors and substance abuse disorders. 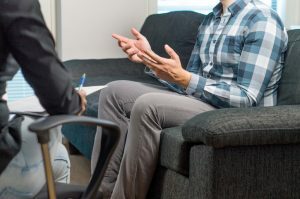 At CHC, we believe that for individuals suffering from a mental health problem, the key to taking back control of their lives is prompt, proper treatment through effective behavioral health services. Our behavioral health services include our behavioral health care team working with primary care physicians to help screen patients for mental illness and substance abuse. This enables us to work in conjunction with medical doctors to provide appropriate treatment at the earliest possible stage. As part of our behavioral health services, we help educate the communities we serve to provide greater awareness of mental illness issues and substance abuse challenges. We view education as a key preventative measure to protect and support our patients and their loved ones in addition to the screening, detection, and treatment services we provide. If you or someone you know is struggling with a mental illness or substance abuse disorder, we can help. Our behavioral health services and team approach to total wellness provide an effective way to help you or a loved one cope with life’s challenges. To learn more about our behavioral health services, contact us today.